The Michigan Library Association (MLA) is pleased to announce that Eleanor & Park by Rainbow Rowell, published 2013 by St. Martin’s Press, is the winner of the 2014 MLA Thumbs Up! Award. Set over the course of one school year in 1986, this is the story of two star-crossed misfits - smart enough to know that first love almost never lasts, but brave and desperate enough to try. When Eleanor meets Park, you'll remember your own first love - and just how hard it pulled you under. 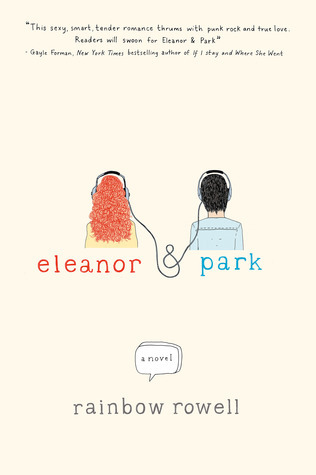 Eleanor & Park has attracted abundant recognition, include being named a Michael L. Printz Honor Book, a New York Times Notable Book, an Indies Choice, Young Adult Book of the Year and received a Boston Globe-Horn Book Award for Fiction and International Reading Association Award for Young Adult Fiction. Rainbow Rowell lives in Omaha, Nebraska, with her husband and two sons. She's also the author of Fangirl, Landline and Attachments.